Camp for €16,- a night at Camping de L'Ile in low season with CampingCard ACSI. Camping de L'Ile, located in Saint-Crépin (Hautes-Alpes), is a campsite with 94 touring pitches. 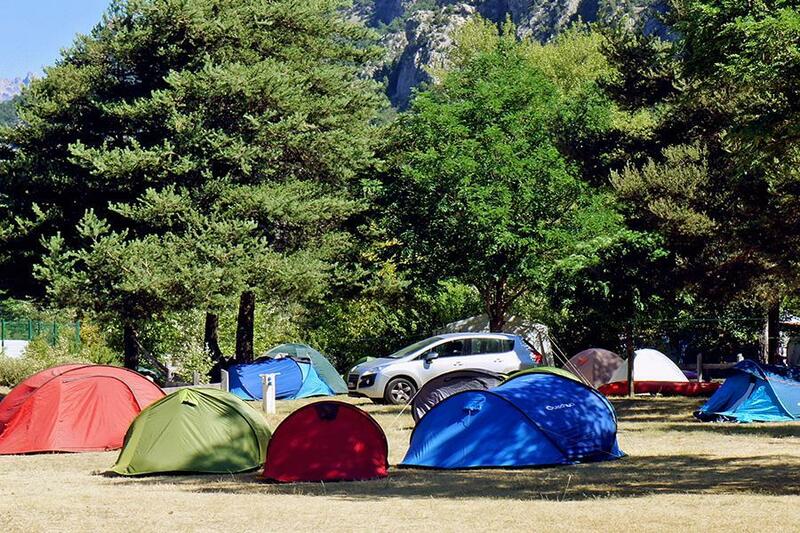 With your CampingCard ACSI you can camp on one of the pitches during the following periods: 01-05-2019 - 05-07-2019 and 31-08-2019 - 30-09-2019. At this campsite you can not only use your CampingCard ACSI for inexpensive camping, you can also use your ACSI Club ID (as an alternative ID). Campsite well-situated on the N94. Close to a river with activities including wild water rafting. Also ideally located for those who enjoy gliding, with the possibility of gliding in the Écrins National Park with its beautiful panorama. Campsite is on N94 and well signposted. Between Briançon and Guillestre on N94. At St. Crepin follow signs to Aerodrome. Cross railway tracks. Campsite is directly left.